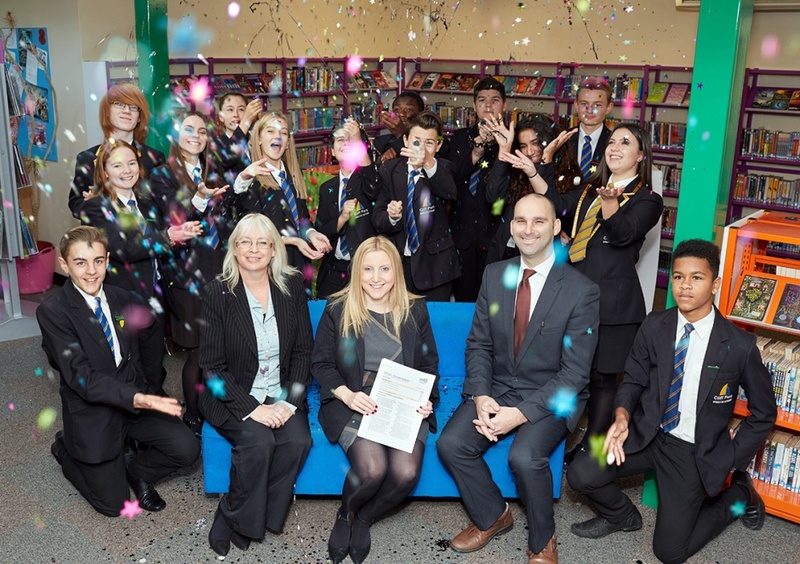 Home > News & Events > Lastest News > Academy’s Success Confirmed As Ofsted Rates It ‘Good’. Academy’s Success Confirmed As Ofsted Rates It ‘Good’. Ofsted Rates Our Academy ‘Good’ With Some ‘Exceptional’ Features. Cliff Park Ormiston Academy has been rated ‘Good’ across all categories in its first Ofsted inspection since it became an academy in 2014 and joined Ormiston Academies Trust (OAT). The rating comes after two successful years of strong academic results under the sponsorship of OAT. The school was judged “Requires Improvement” in its previous inspection, when it was known as Cliff Park High School before becoming an OAT academy. The senior leadership team, including Tamsin Poulter who was appointed Principal in March, were praised by inspectors as being “passionate about improving all aspects of the school so that all pupils receive the very best education.” The report highlighted their “relentless efforts to improve pupil outcomes” and noted that this had indeed led to continuing higher standards. This year students achieved record GCSE results with 57% achieving English and maths GCSEs at C or better. The report said that the academy’s senior leaders are held fully to account by Ormiston Academies Trust for improving the quality of education in the school. Ofsted also said that students were making rapid progress, with both the quality of teaching and achievement in English and maths picked out as ‘particularly strong’. The academy is working effectively to narrow the differences in achievement between disadvantaged and other pupils due to the “intensive support” provided by senior leaders. Leaders have quickly ensured that pupils now achieve well in a wide range of academic and vocational subjects. Students display good behaviour, good attendance and wear their Cliff Park uniform with ‘pride’.